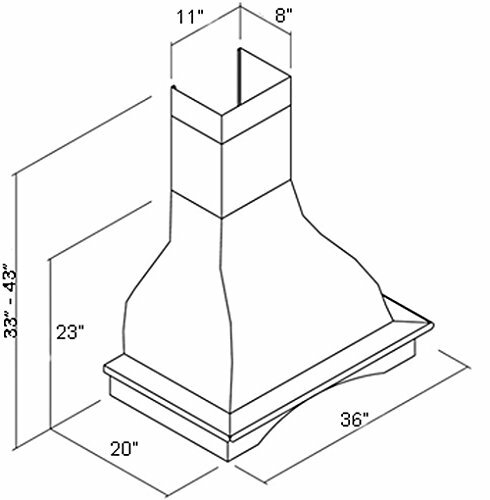 Range Hood Wall Mounted Wood 36" CHR-114 NT AIR. Made in Italy. Product prices and availability are accurate as of 2019-04-18 22:32:19 UTC and are subject to change. Any price and availability information displayed on http://www.amazon.com/ at the time of purchase will apply to the purchase of this product. 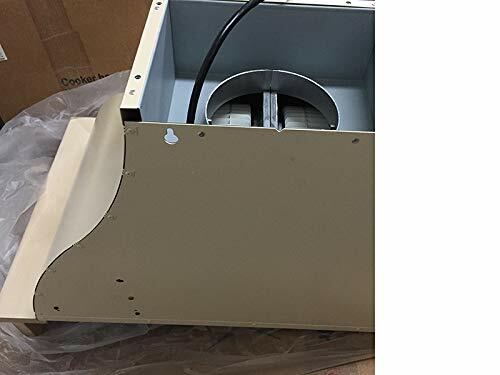 36" x 19" x 35"; THREE washable FILTERS; vent-DUCT/ductless; two 40 W lights; three speeds For a ductless (recirculating), use two round charcoal filters "Type A" that attach to the motor to help remove unwanted kitchen smells, this is an optional extra and the chimney section with the pre-cut vent must be used when outside ventilation is not possible. For Shipping Delivery we use Freight Express on wooden pallet. Safe and Reliable. 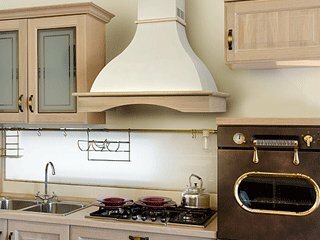 The range hood is covered by protective white film for safe transportation. Please remove that film by hands, don't use any sharp tools.